"...all the operation needs to collapse a little, since there is no goal of being big or small at a certain points the cells will split and I will keep the Arts Bank and my studio… what feels great, in my head, is that I don’t need any other, not for the validation, not for the money, not for the popularity." Theaster Gates is an artist, a curator, a mediator, a musician, an entrepreneur, a urbanist, a collector, a priest, a professor, a scholar. His art is about appropriation. 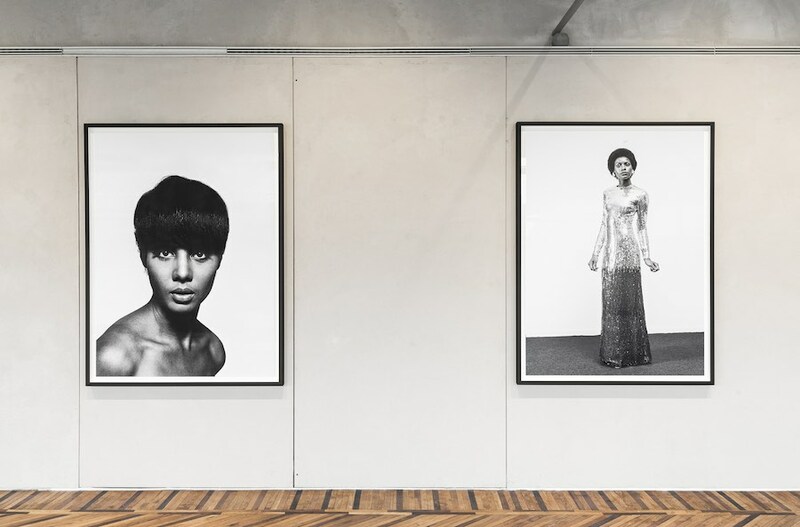 He frames informations, events, memories and in the case of The Black Image Corporation, exhibited from 20 September 2018 to 14 January 2019 at the Fondazione Prada Osservatorio in Galleria Vittorio Emanuele II in Milan, Gates worked as a collector of collections and archives. 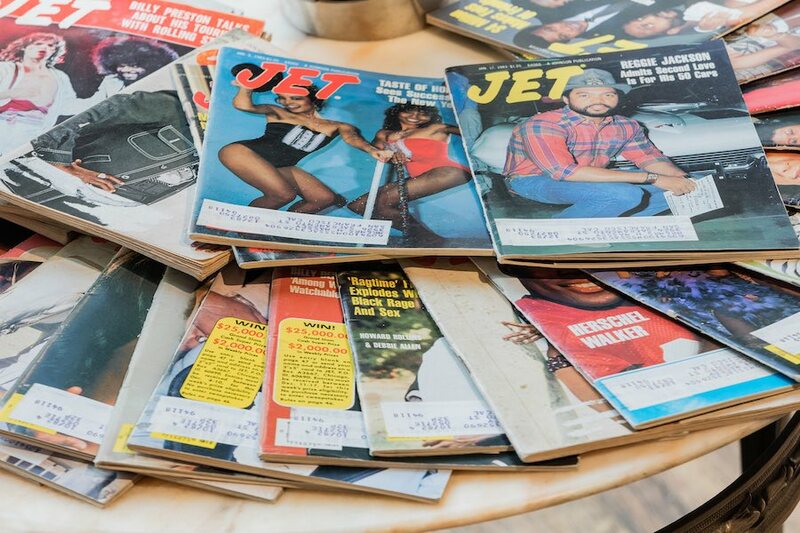 America’s black culture is explored through the legacy of Johnson Publishing Company who produced two landmark publications for black American culture: Ebony and Jet magazines. The magazines quickly became landmarks for black culture. 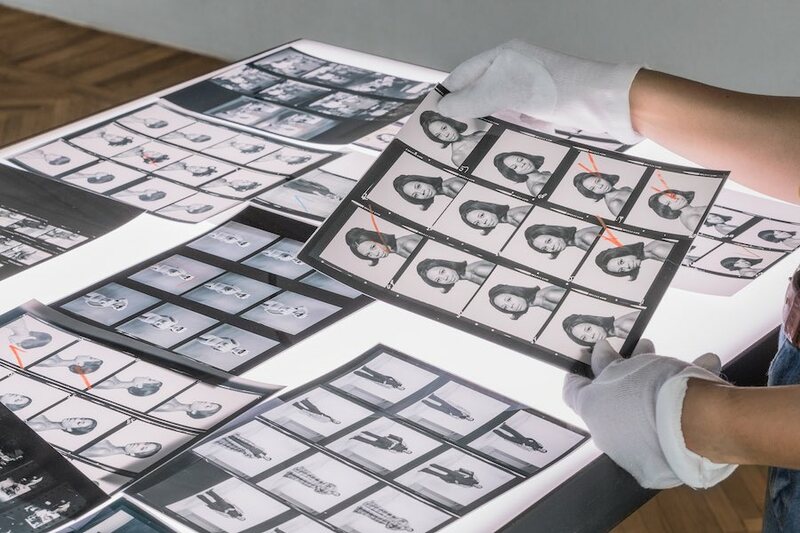 Gates works is mainly about carefully selecting from within the huge Johnson’s archive, some families of images that are consistent and remarkable for the development of afro American identity. 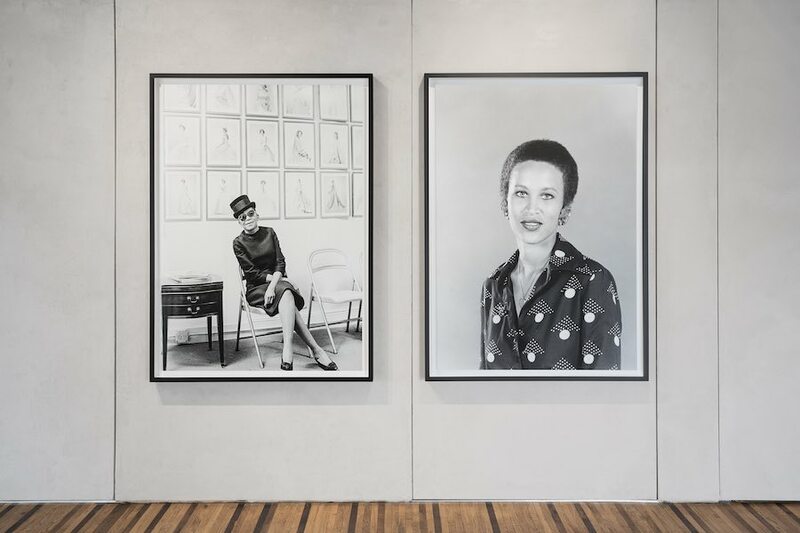 Through the works of two photographers that worked for the magazines, Moneta Sleet Jr. and Isaac Sutton, Gates present a selection of images about beauty and black female power. The exhibition is paired by a new format by Fondazione, a film marathon screened in Fondazione’s Cinema and curated by Gates through a selection of movies that contributed to the definition of a shared knowledge about contemporary Afroamerican culture. The 22 hour marathon run Friday 21st from 10am to Saturday 22nd at 7am and it is discussed in an open talk between Spike Lee, Theaster Gates and Dee Rees moderated by Okwui Enwezor. The role Gates is endlessly performing towards his community is even strengthen by his interest in history. His work, being it restoring parts of south Chicago or designing an exhibition, is about reworking history and its remnants. 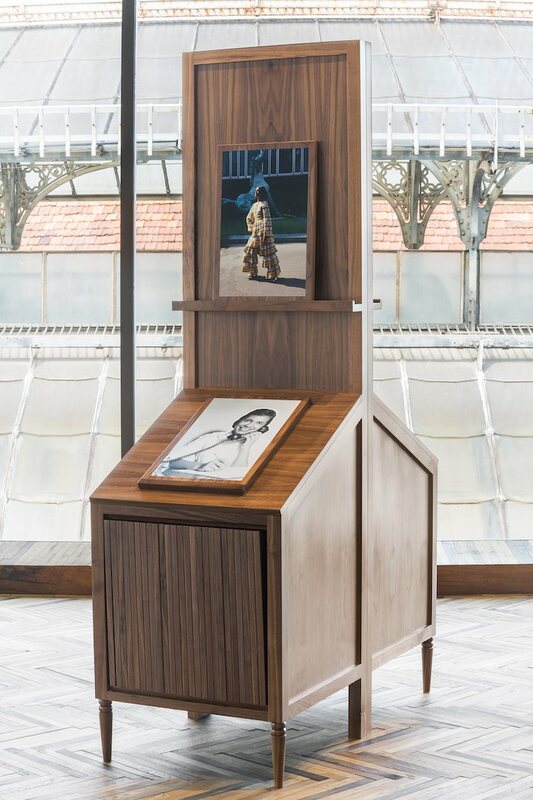 The Osservatorio exhibition is associated with “A Johnson Publishing Story”, organized by the Rebuild Foundation (Gates’ organization founded in Chicago) which is devoted to refurbishing objects, memories, habits, things that might be lost or forgotten. As a careful archeologist of the present he embraces in preservation acts that focus on different scale and different objects. In Chicago Greater Grand Crossing he remastered a bunch (now worth 60 million dollars) of rundown buildings changing the sorts of an entire part of the city, in Fondazione he is remastering a 4 million images archive to underline the beauty and power of the black image. Nicolò Ornaghi. Let’s start fro the set up you designed for the exhibition. The lower space of the Osservatorio is more cozy and warming, a sort of buffering zone for the beholder that can gradually get closer to the archive materials also thanks to the pieces of forniture you brought from Chicago Johnson offices, objects that are specifically linked to a period and a place in time. The upper floor is more focused and formal and also the interventions are more subtle and discreet, for example the silkscreen interventions on the large format images. So my question would be mainly about the notion of exhibition design and your relationship with architecture. You studied urbanism, In Black Madonna – your Basel exhibitions that could be considered a double or at least a sister of this exhibition – you have a Louis Sullivan ceramic cross that you integrated, and also your exhibition design are always very gentle and polite with a specific attention in materials and on the formal notion of exhibition design. Theaster Gates. Yes that’s true. I think a lot about my colleagues, artists, and whether or not we choose to be impolite… you know cheap wood, found materials, which I love, but I think that in this moments when I’m trying to articulate, in this case the power of this black company or the power of the black image, it makes me want to go hyper formal so that things are presented in their best way. It gives me a chance to think about formal architecture. For example with the cabinets we could have presented the works any number of ways, but we wanter to create an outer sanctum. We are here in an outer religious space, then there is a closer religious space, that are the cabinets, objects that are very intimate. 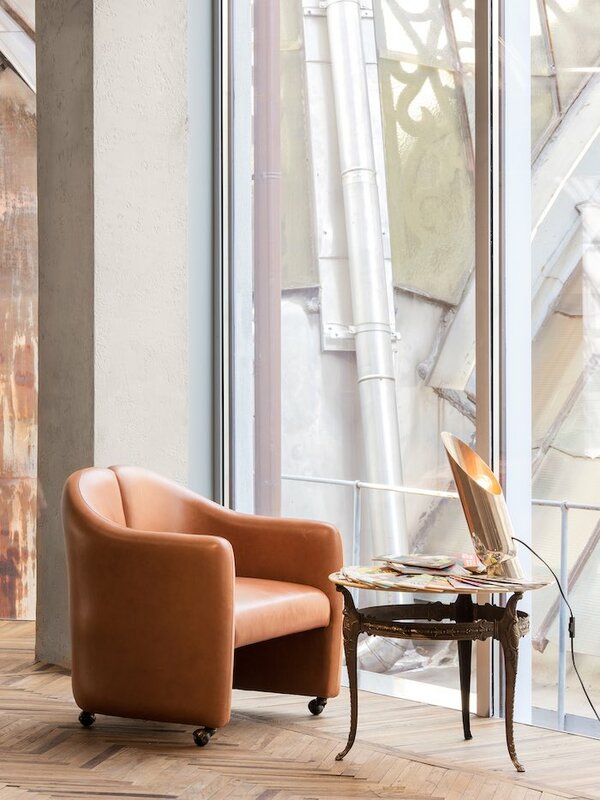 You have to put the gloves on, you can take the images, put them on show and so on… it’s a place were you confess, you open and learn or open and believe, as in a renaissance studiolo, which is an architectural reference for the project. N.O. 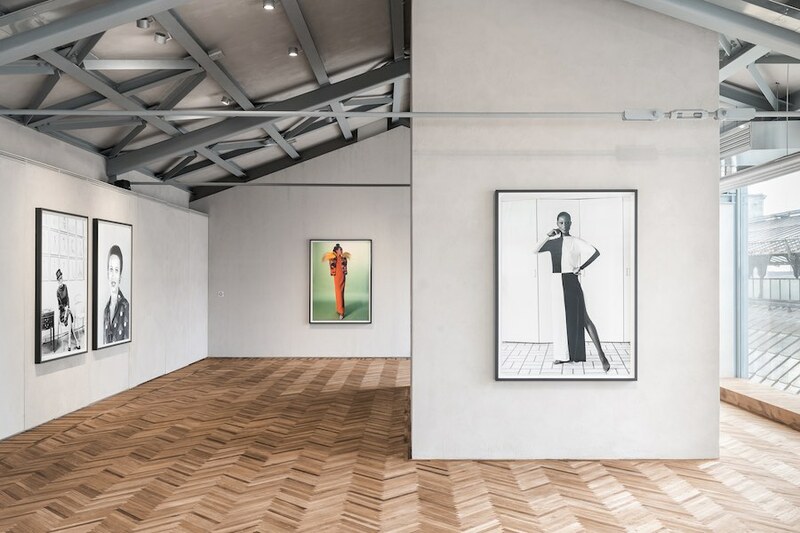 I think that’s another key element: in many of your exhibitions, and also also in the other exhibition you did here at Fondazione Prada, it seems that a trait d’union is a restless search for precision. It seems your artist practice must be precise because it is largely about curating, taking many decisions, careful organizing found things. But it is also about craftsmanship, that again requires lots of precision. And also appropriation, that is another key element in your practice, must be about precision. So the idea of showing things properly, as in this case, requires attention and knowledge of the context. TG: For example, you see this carpet, when we were asked to take things from the Johnson archive in Chicago they meant mainly the objects, furniture and so on… but we thought we should take the walls, the wall papers, the floors, we should try to take everything as well. So this carpet was part of a 5 per 15 meters piece that we decided to cut and then restitch so in some ways it’s a ready made and in other it’s a new carpet. It was in very bad shape and we reconditioned it trying to understand and respect the kind of intelligence of this design and translating it in this new object. This because people need to understand not only the images but also the amount of intelligence that was put into the design of the offices. So by just taking this one strip we made a design decision that is not necessarily an art move but it is just about being ok with the fact that sometimes, in this case me curating an exhibition, it is about strategic moves that help people understand an important moment. N.O. There is a last thing I would like to ask you. You invested millions in Chicago Greater Grand Crossing through many enterprises that includes your studio, the Rebuild Foundation and many other activities. The fact that your operation is getting bigger and bigger, besides being a remarkable piece of art in itself, includes a set of problems or at least a set of preliminary issue to be considered while speaking about the size of your entrepreneurial endeavor. Aren’t you scared of becoming too big? I’m not speaking about the off quoted gentrification problem that many people account to your operation but also the very fact that the ensemble could become so big that you cannot handle it anymore. TG: I don’t thing one person was meant to hold the city. It was really an intuitive project. A building is available, we should buy it, another building is available, we should get it, all the land next to the buildings is available maybe we should try to buy it. So we assemble all this things through intuition and by the time we finished we had more that we could manage. If I don’t own it, in this world of capitalism, you can’t say what’s happening next to it. But if I own it, even if I don’t have the ability to do it myself I can say what the land would look like. We put our money together and we did it. In the end it’s about being able to partecipe in the future of the city via land ownership. In my case it was the south side, a piece of the city that no one else wanted this but now that the Obama center is coming, now things are a little bit better, now people want to get it.  I saw potential and i wanted to partecipate in the potential, now that it’s too big my role would be curation. Putting together things one next to the other, in a way that I keep things the way I want. For example If I want that some houses should be always affordable for artists, I will try to keep rents at 500$ a month event though market price is 2000$. If you do this long time even if the prices grow you can keep it sustainable. I mean.. It requires a big investment even to give it away… I feel like a citizen of the city who believe in artists and I want to be sure that artists had the opportunities I had. In some ways I’m just learning how to contribute what I can. In other words, all the operation needs to collapse a little, since there is no goal of being big or small at a certain points the cells will split and I will keep the Arts Bank and my studio… what feels great, in my head, is that I don’t need any other, not for the validation, not for the money, not for the popularity. It was about working working and working until I was even a bit sick, just working to trying to make things happen, to maintain my citizenship.